Never one to rest on its fashion laurels, Target announced the next, must-have collaboration at London Fashion Week today. 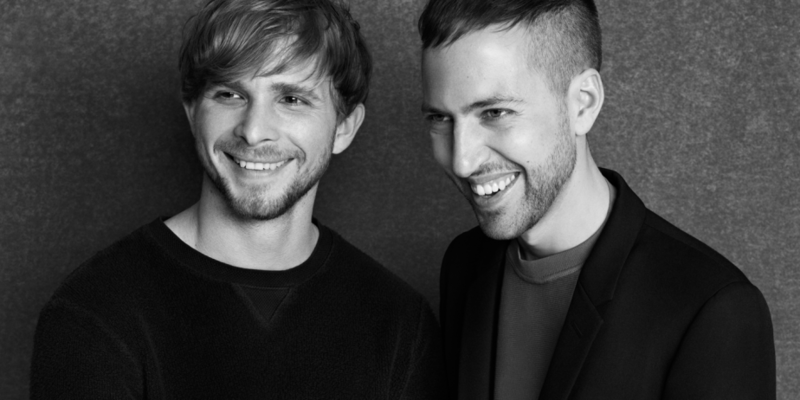 Peter Pilotto and Christopher De Vos, the London-based designing duo behind PETER PILOTTO, are teaming up with Target for a bold, spring womenswear collection debuting Feb. 9, 2014. PETER PILOTTO for Target will feature nearly 70 items, from flirty frocks and skirts to chic clutches and swimwear, with most items retailing for less than $60. Given the brand’s UK roots, Target is making the collection available to international fans through online luxury retailer Net-a-Porter, which will carry a curated assortment of the limited-edition collection. After all, Target has always partnered with the best and brightest—from both near and far—to make great design accessible. Expect to see the same distinct spirit and elegance of PETER PILOTTO in the Target collection, with kaleidoscopic prints, bold color combinations (picture striking blues and greens and warm reds and oranges) and sculpted silhouettes. With a celeb following including the likes of Kerry Washington, Kristen Stewart, Miranda Kerr, Kate Bosworth, Sienna Miller and Emma Watson, there’s rarely a red carpet without a PETER PILOTTO sighting. The design duo first made fashion headlines when they were awarded the Best Emerging Talent Award and the Women’s Swarovski Award for New Potential High-Level Garments at the British Fashion Awards in late 2009. Additional accolades followed in 2011 when the label received the prestigious Fashion Forward Award by the British Fashion Council. With their Target collection, it looks like 2014 will be another big year for PETER PILOTTO, and we can’t wait.